Grand Master and System founder, Jerry Fisher, studied American boxing for eleven years, competing in over 100 matches. 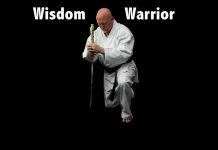 In the middle 1950’s he began the study of karate, training with a friend who had been stationed in Okinawa for a year, studying Isshin Ryu. 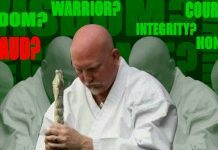 Other styles were added over the years until, by 1974, Grand Master Fisher had attained a 3rd degree black belt in Isshin Ryu, a 1st degree black belt in Ozman Ryu, a 1st degree black belt in Hapkido and a 3rd degree black belt in Ed Parker’s Kenpo. These various fighting arts, combined with the vast background in boxing, Jujitsu, grappling and a broad range of Chinese Wushu styles, became the P.U.M.A. System, in 1974. 6th degrees Burnis White, Ed Anders Other highly ranked Black Belts include his daughter, Xian, and his son, John. P.U.M.A. System is a broad range American fighting art grounded in traditional, respected roots and is adaptable for all ages and body types. Exposing students to many disciplines enables them to direct their fighting style toward their own body type and personality. 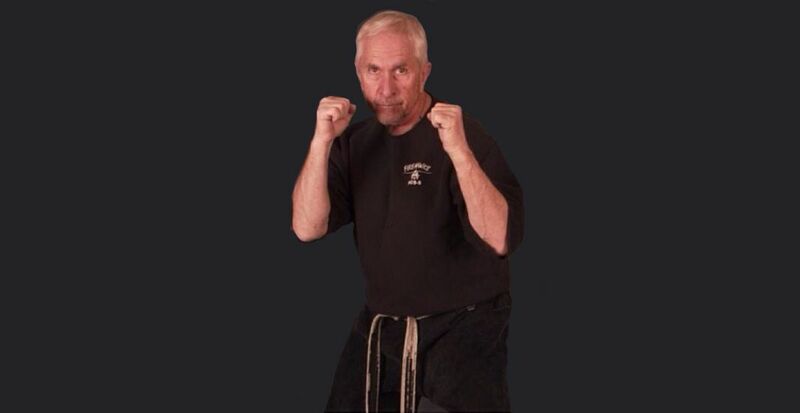 Grand Master Fisher was a defensive tactic consultant for the Los Angeles Police Department since 1995. Mr. Fisher had worked with the L.A.P.D. on the development of arrest and control techniques and he helped create specific threat responses. Grand Master Jerry Fisher, was inducted into the Black Belt Hall of Fame two different times. Grand Master Fisher was a technical director for films such as “The Karate Kid”, where he was also in charge of publicity and promotion for the film for Columbia Pictures. Mr. Fisher taught full time at the Big Bear Lake School. 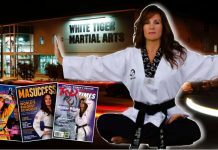 He wrote a wonderful book about his life called No Regrets, The Life of an American Martial Artist. “Jerry Fisher, 77, born on June 19, 1936 in Rapid City, South Dakota, passed away March 24, 2014. He resided in Big Bear Lake, California, at the time of his passing. Arrangements are under the direction of Forest Lawn Hollywood Hills, Los Angeles, California. Golden Gloves boxer in his teens. Martial arts instructor as an adult. Founder of one of the first mixed martial-arts styles in the country, combining elements of Western, Korean, Chinese, Okinawan and Japanese systems. Teacher, leader, organizer, and father. 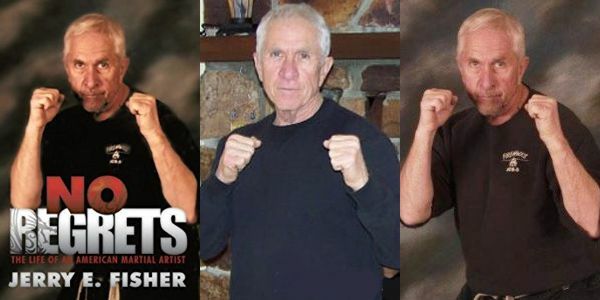 We all recognize the many roles that Jerry Fisher took on to shape the world of martial arts in California and beyond. Mr. Fisher’s legacy, though, will forever be measured in the changes he brought about in the lives of those who trained with him, worked alongside him in tournaments or as instructors. The students whose confidence, abilities, and courage he molded and developed have gone on themselves to mold and develop that strength of character in thousands of others around the world. Though we all grieve at his loss, and know that his like shall not be seen again, yet we can honor his legacy by continuing it. You who are instructors yourselves, know that every student whose character you help build honors Mr. Fisher’s life and legacy. Let them know that they, in turn, can carry it on by sharing the lessons and the legacy that he left us.